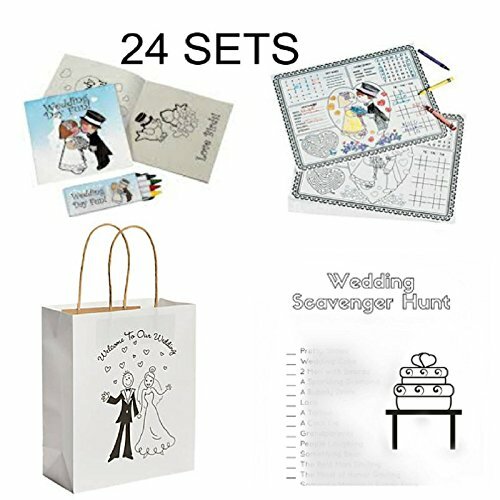 Wedding Activities for Kids - Individually Packaged Wedding Coloring Books and Crayons, Wedding Favor Bags, Paper Wedding Children's Activity Placemats and Wedding Themed Scavenger Hunt Sheets. Keep kids entertained at your wedding! Includes 24 of each item. Kids will stay entertained and having fun! If you have any questions about this product by BizzyBecca, contact us by completing and submitting the form below. If you are looking for a specif part number, please include it with your message.